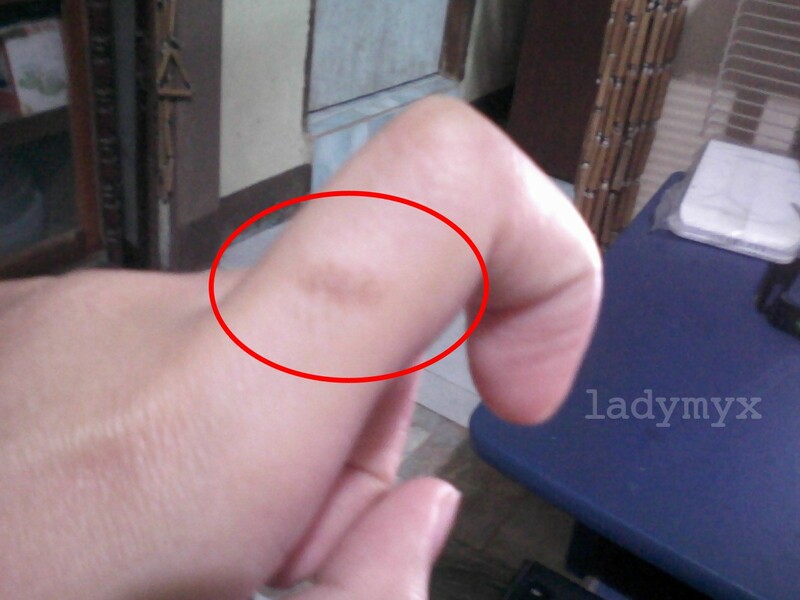 Having this mark on my finger reminds me how careless I was when I tried to curl my hair last Friday. I regret having my hair cut last Saturday. My hair became more loose and it doesn't fall back into place. I was pretty amazed by the commercials seen on Television. Why is it after using this kind of shampoo, others receive what they expected to receive. Less hairfall, smooth and shiny hair, just like after it was seconded. Why not mine? WHY!? Perhaps it's in our genes that females in the family have a thick hair strands which is really unlovely. 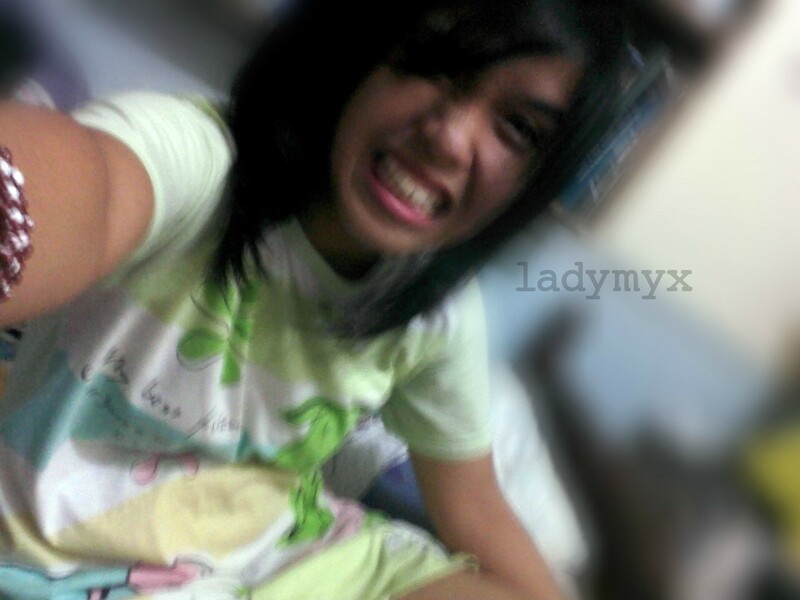 See how short it was? And I found this somewhere, which explains why women cut their hair short. I don't know if I'll agree or I'll be neutral. When a woman cuts her hair off, it's not about wanting a cute new look, no matter what anyone says. It's about sheer emotional turmoil. It's no accident that stressful or unpleasant days have been dubbed "bad hair days", since the emotions a woman feels when things aren't going well are almost as unpleasant as what she feels when she just can't get her hair to look nice or lie flat or conform to the style she wants. This is, of course, one of the key reasons why it's such a clear indication of displeasure when a woman cuts off all that beautiful hair. Women know how much men love their hair, and so when they cut it all off they are effectively cutting men off, from their beauty, from their attractiveness to them, from their love. It's a clear gesture of defiance, or dissatisfaction, or despair, a spiteful kind of emotional kick in the balls. Actually, we have a special meeting to attend on Friday. And I want to get my self ready and presentable. I bought new dress. 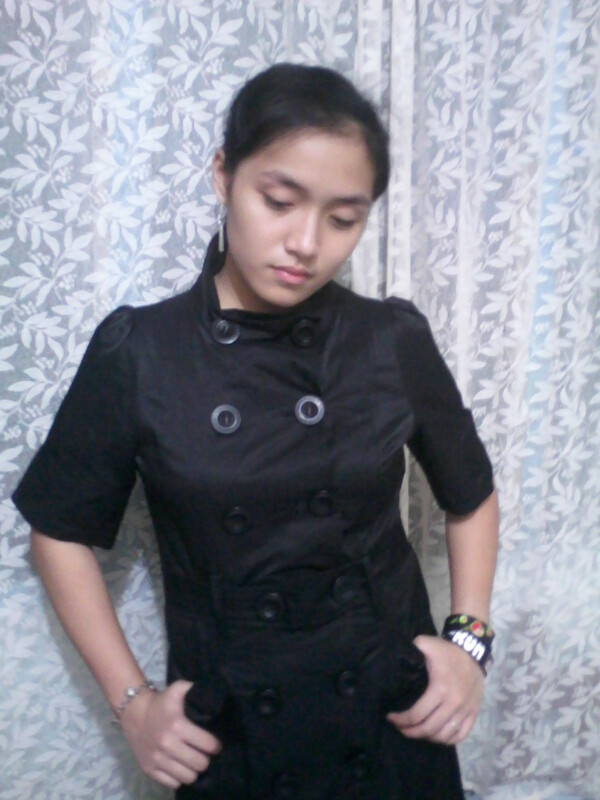 See my sister wearing my new black Korean inspired dress? It's a knee length dress so I would look so formal. I like this cute coat too. I'll save money for this. 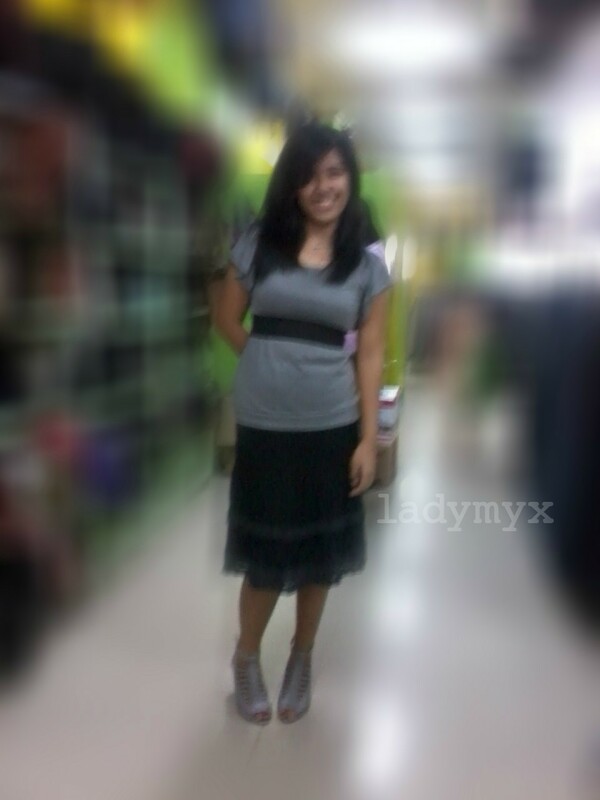 Blouse and skirt are mine. See the shoes I'm wearing? I haven't bought that. It's too expensive. Atleast I had a photo of it. Second semester will start tomorrow, haven't paid my tuition yet. 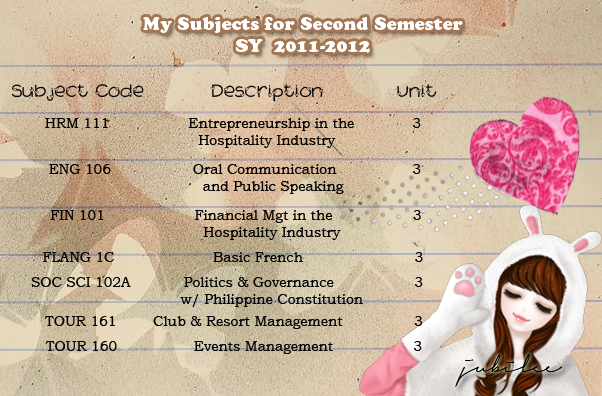 But I had my assessment last November 2, and here's my subjects for this sem. Schooldays are from Monday to Thursday only, since Friday is declared to be an activity day. What does it mean? We don't have classes in that particular day but we have to go to school if there are any activities to be done in the campus. hi... i followed u po..